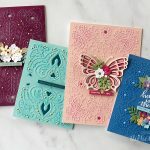 Hello, fellow makers! 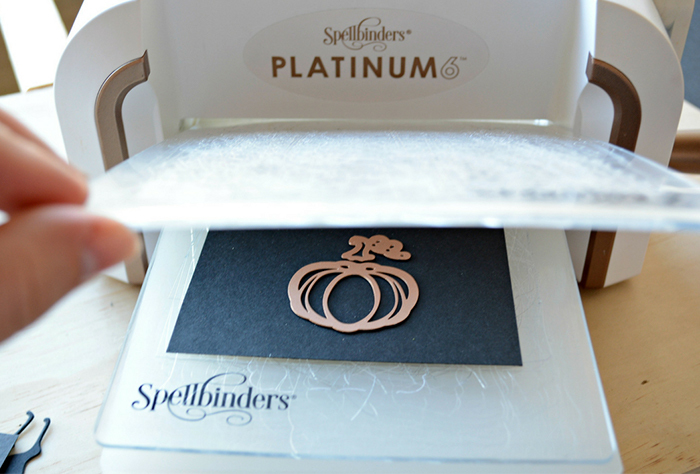 Miranda here from Tinsel + Wheat, thrilled to be guest blogging today with Spellbinders. 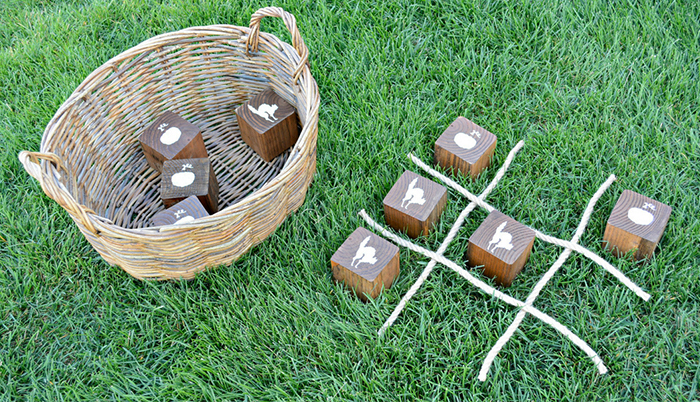 Today I am sharing this really fun large wooden Halloween Tic Tac Toe Game! I’m not going to lie – I can’t wait for fall! Cooler temps, beautiful colors, all the fun fall festivities including but not limited to Halloween! 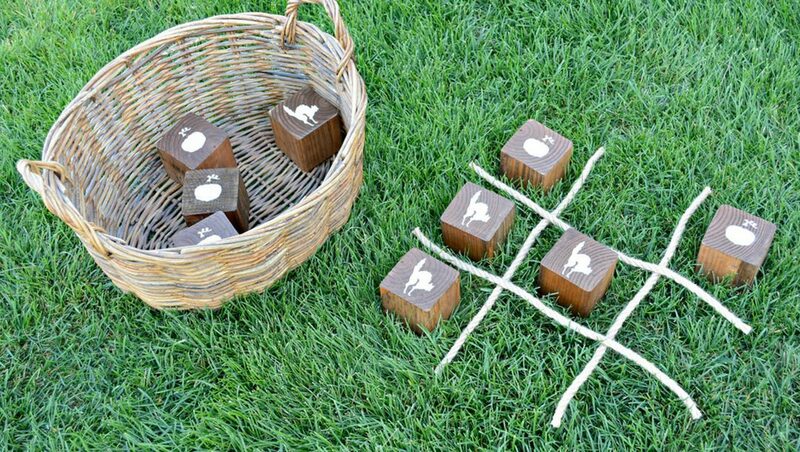 This game would be perfect for a class party or fall carnival or as a fun outdoor yard game or an excellent indoors carpet game! So many options. Let’s get started! 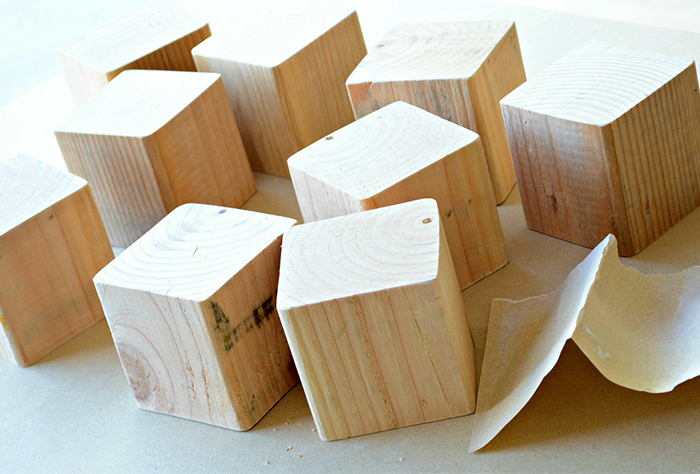 Using your miter saw, cut 9 blocks measuring 3.5 x 3.5″ each. Sand all rough edges with sand paper. 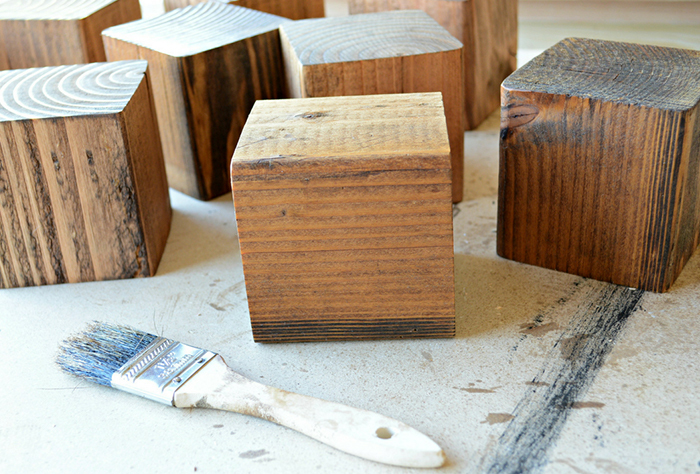 I stained my blocks with an Early American stain. 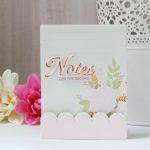 Cut your stencils on 4 x 4″ squares of paper or cardstock. 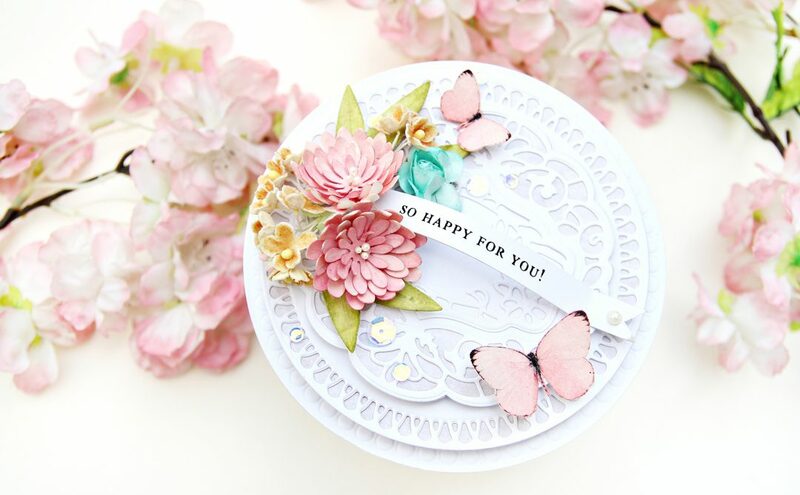 Your die sandwich will be white spacer + clear acrylic plate + paper + die + clear acrylic plate. 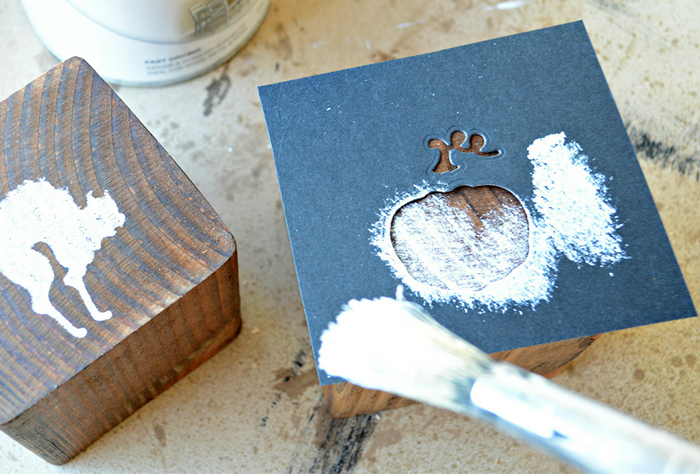 I made a couple of each shape so I could switch off and let the other dry while stenciling. 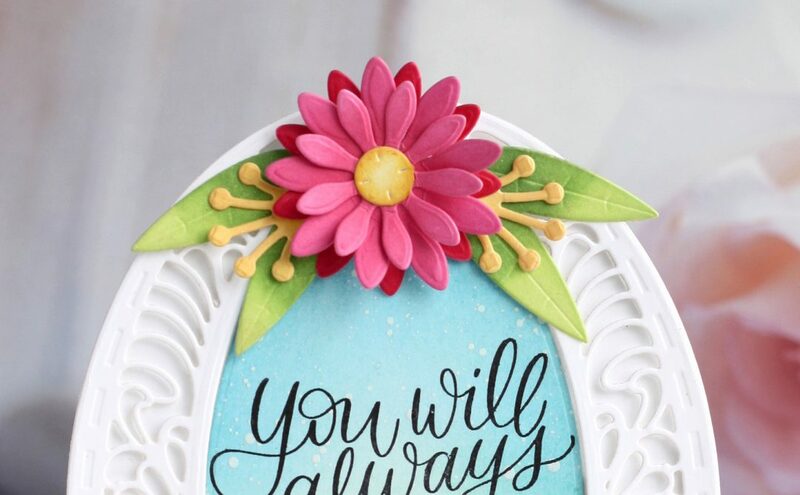 Stipple white paint onto your centered stencils. 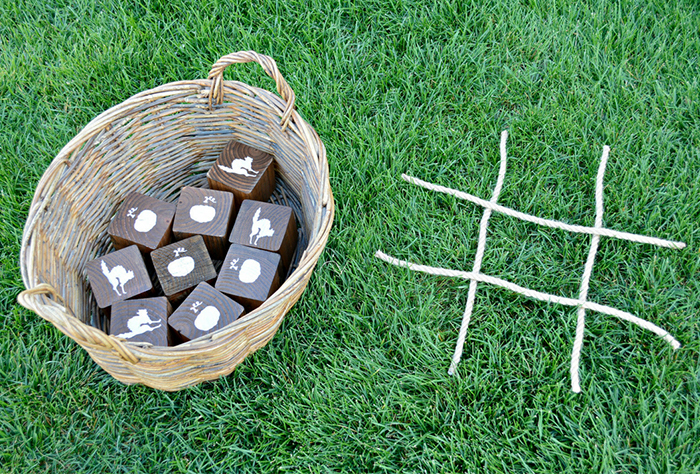 Make sure each block gets a pumpkin on one side and a mad cat on the opposite side. 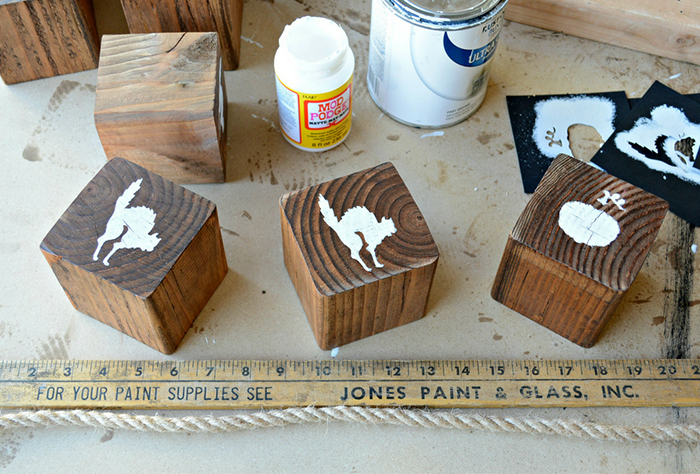 This will assure enough game pieces for each game of tic “cat” toe. 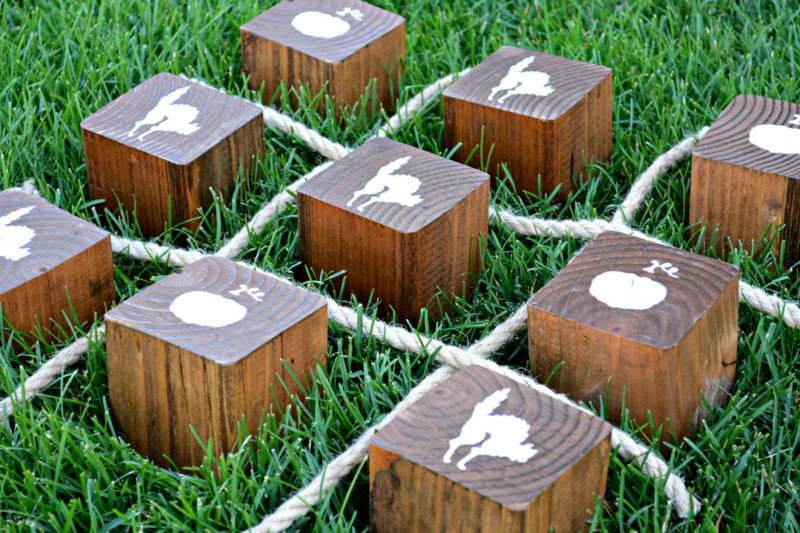 I used 0.75″ jute rope for the game grid. Cut each piece of rope to 20″. 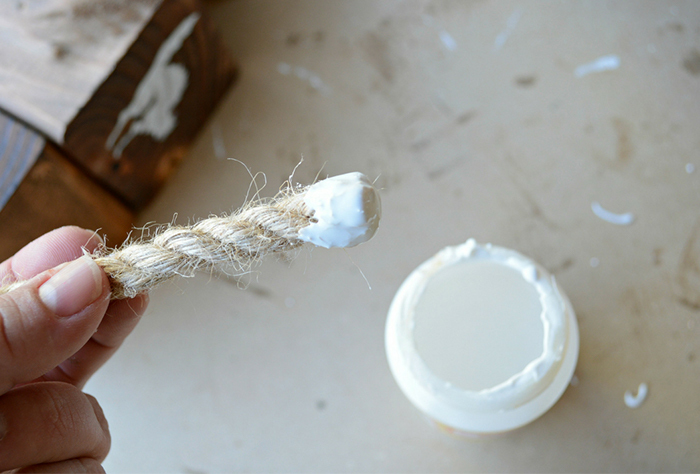 To help prevent frayed ends, dip each end of your rope in Mod Podge and let dry. 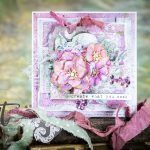 The Mod Podge will dry clear. 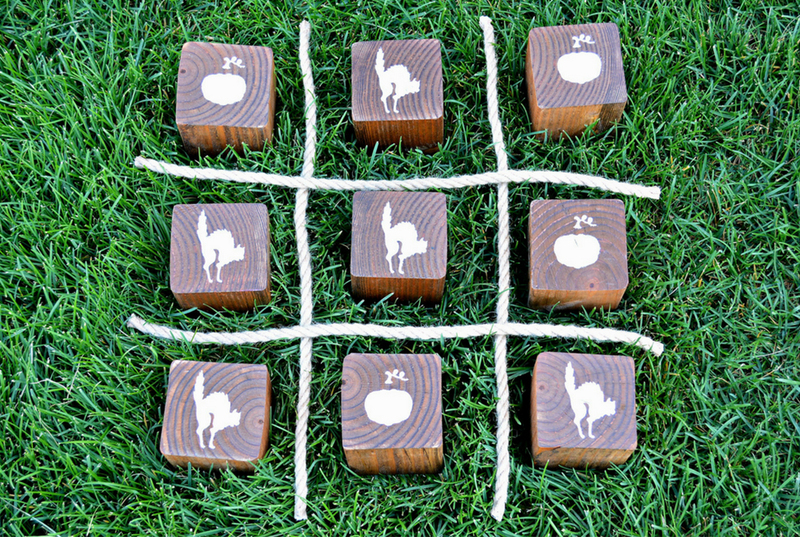 I hope you enjoyed this large wooden Halloween tic tac toe game tutorial! 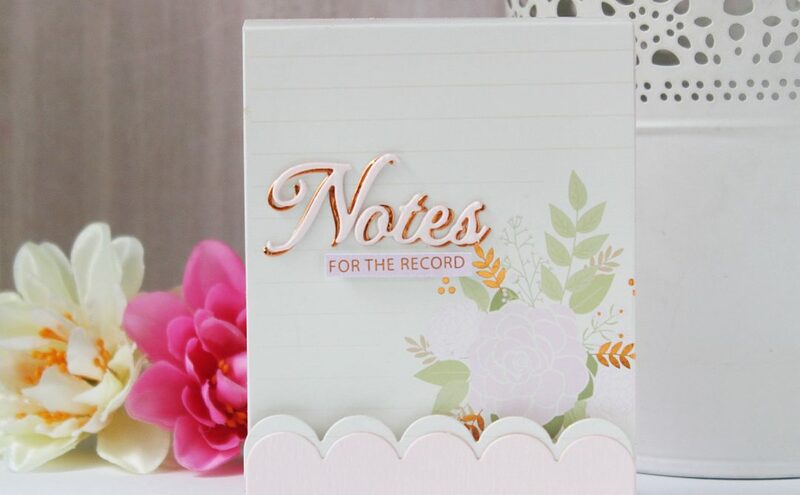 Make sure to tag us on social media if you make a set of your own and don’t forget to #neverstopmaking! Hi guys! Miranda here from Tinsel & Wheat ~ wife, mama, wedding decor designer, home decor DIY’er, and wearer of many other “hats”… who can relate!? I love it! 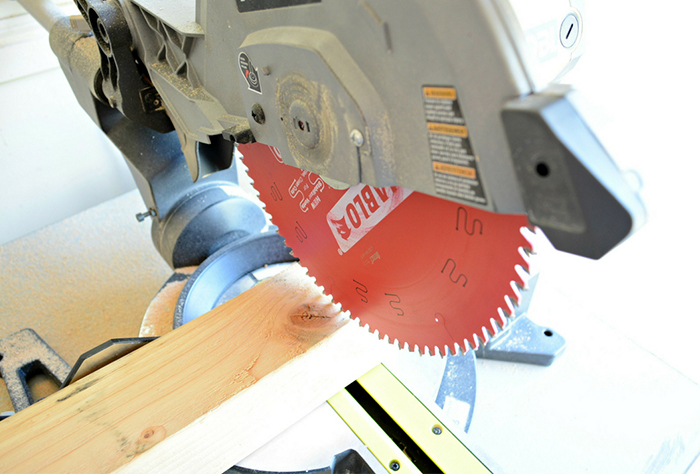 I don’t have a miter saw, will Home Depot do the cuts for me if I buy the wood there? Thank you! Our local Home Depot will not do any cuts smaller than 6″, but I am not sure if that is a company wide policy. It might be worth calling before heading in for the lumber. Hope this helps!